What is the purpose of the Cable Cover? 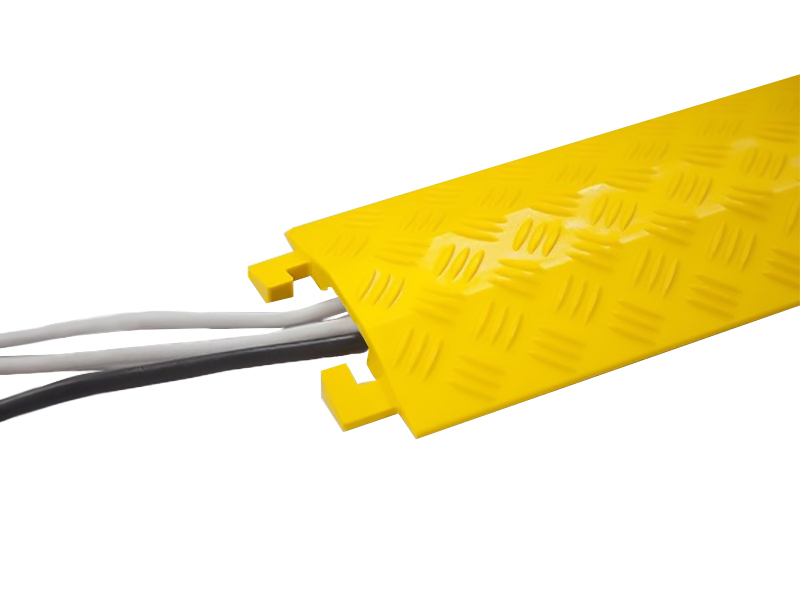 Protection of electrical cables in the workplace is a major concern, and that's why the cable cover was developed. Cable protection is essential to many working environments. On an average day, many people traffic over cables without even giving it a second thought. However, if these cables were exposed, they could cause serious health hazards, both to the people passing over them and the building in general. 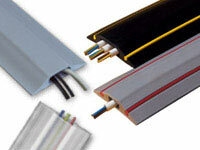 Cable covers provide a safe and affordable way to keep cables secured and safe from fraying due to excessive traffic. They also present a very visual warning to people to be careful when walking around the cables so as not to trip themselves up. Where can this cable tidy be used? Offices stand to benefit the most from these cable covers. 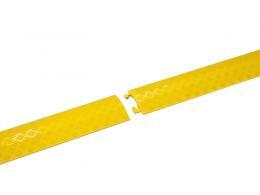 They stand out from the background carpet making it easy to distinguish between the cable protector and the floor. This decreases the likelihood of accidents in the workplace due to workers tripping over open cables and/or wires, which could potentially lead to damage to the cable and replacement of either the cable itself or the hardware that is connected to the cable. As a precautionary measure, it serves a very important service in offices and business places. It can even be used outdoors since the cable covers can be utilized with hoses as well. Who might use this cable protector? Offices that have a lot of cables/wires leading to or from peripherals can stand to benefit from the cable cover, because it serves as a preventative safety measure for workers. Additionally, workplaces that require hardware to be unplugged and moved around often can also benefit immensely from the cable cover. In such cases, there is no set location for cables and being aware of where cables have been moved to is essential in ensuring that employees can navigate across the office floor successfully without tripping. Even long cables can be covered by linking multiple cable covers together to form one that encompasses the entire length of the cable. 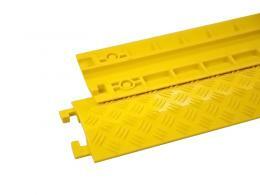 Outdoor premises may benefit from cable management product such as ad outdoor cable protector. Our cable tidies come in a variety of forms to accommodate outdoor and indoor cable protection. The cable covers presented here are an affordable safety measure and are very easy to set up. All that has to be done is to slide them onto the cable or the hose and setup is complete. Multiple lengths of cable covers can be chained together to provide cover for longer cables or hoses easily. The sleeve itself has dimensions of 950mm x 130mm x 19mm, with a single channel for cables that is 38mm x 12mm, making it ideal for any cable or hose that conforms to that dimension. They can easily be adapted to a number of situations and may be used in covering longer cables by snapping consecutive covers together to achieve the desired effect.